What better excuse than the arrival of spring to freshen up your wardrobe and wait in anticipation for the warmer weather to arrive? A bit of retail therapy never hurt anyone, apart from your bank balance, so it’s time to put away your bulky winter clothes and get ahead of the game with the latest fashion trends. As always, we’ve got your back. We’ve picked out 10 of our spring fashion NHS discounts to help staff save some money. Dorothy Perkins have a fantastic up to 70% off Sale on now, plus NHS staff can get 10% off full-priced items. Combine the two and you can pick up some great bargains to top up your spring wardrobe collection. Get your style on trend with some of the coolest trends on the high street at Missy Empire. Our exclusive 25% off voucher code for women’s fashion will come in handy too! Get an exclusive 20% NHS discount at Peacocks on women’s, men’s and kid’s fashion. Copy our voucher code and enter it at the checkout to get your discount on full price items. If fashion streetwear and sportswear is more your thing, look no further than this Footasylum discount. You can get up to 60% off in the sale, plus NHS staff can get 10% off full priced items. Celtic & Co. offer a fantastic range of luxury British footwear, clothing and outerwear. 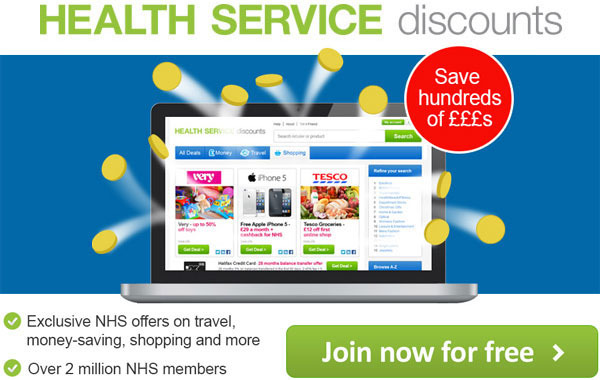 You can get an exclusive up to 10% NHS discount plus free delivery. Shop the latest and hottest trends in fashion at Jane Norman and get an exclusive 15% NHS discount with our voucher code. Struggling for Mother’s Day present ideas this year? Mothers deserve to be celebrated more than just once a year for all the amazing things they do for their family. So, why don’t you make this Mother’s Day an extra special one by treating your lovely mum to a fantastic present? Don’t forget to sign up for free to claim our discounts. Nothing shows someone how much they mean to you quite like a beautiful bouquet of flowers. Appleyard Flowers offers a stunning range of luxury hand tied bouquets and arrangements that will make the perfect gift this Mother’s Day. NHS staff can get 20% off all flowers at Appleyard Flowers with our discount code, or you can get 50% off Grace Bouquets. If jewellery is more your mother’s style you should take a look at H. Samuel who have an amazing range of gifts specifically for Mother’s Day. Choose from their range of Stacking jewellery and Chamilia Mix and Match, perfect gift sets for extra sparkle, or make it personal for that extra special touch. Get an exclusive 10% NHS discount at H. Samuel with our discount code. Spoil your mum this Mother’s Day with a relaxing pampering session, spa break, afternoon tea or dinner at a 5 Star restaurant. If she’s a thrill seeker you could even surprise her with an adventure activity like a gliding lesson, a driving day or even a skydive! Red Letter Days has a huge range of activities to choose from and NHS staff can get 20% off with our voucher code. A brand-spanking new pair of shoes is always a great choice of present for any occasion. Choose from a huge range of high-quality shoes and sandals at Fitflop. Get up to 50% off a huge range of shoes in their current sale, plus NHS staff can get an extra 15% off with our discount code. Spring is here so now would be the perfect time to update your mum’s wardrobe. You can pick up some bargains at Dorothy Perkins in their up to 70% Off Sale. NHS staff can also get 10% off full priced items with our discount code. You can also get free delivery on orders over £50.